Her married name became Coryton. [S229] Burke John and John Bernard Burke, A Genealogical and Heraldic History of the Extinct and Dormant Baronetcies of England (1841, reprint; Baltimore, Maryland, USA: Genealogical Publishing Company, 1985), page 472. Hereinafter cited as Extinct and Dormant Baronetcies of England. From 9 February 1567/68, her married name became Talbot. [S6] G.E. Cokayne; with Vicary Gibbs, H.A. Doubleday, Geoffrey H. White, Duncan Warrand and Lord Howard de Walden, editors, The Complete Peerage of England, Scotland, Ireland, Great Britain and the United Kingdom, Extant, Extinct or Dormant, new ed., 13 volumes in 14 (1910-1959; reprint in 6 volumes, Gloucester, U.K.: Alan Sutton Publishing, 2000), volume I, page 257. Hereinafter cited as The Complete Peerage. [S21] L. G. Pine, The New Extinct Peerage 1884-1971: Containing Extinct, Abeyant, Dormant and Suspended Peerages With Genealogies and Arms (London, U.K.: Heraldry Today, 1972), page 137. Hereinafter cited as The New Extinct Peerage. [S1345] Anne Bradley, "re: Bonaparte Family," e-mail message to Darryl Lundy, 23 April 2005. Hereinafter cited as "re: Bonaparte Family." 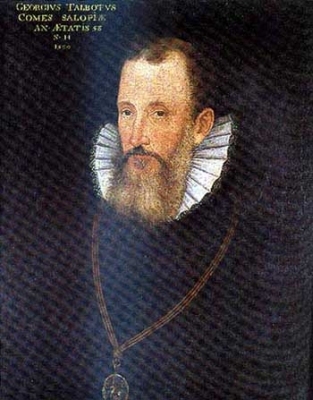 Mary Carus is the daughter of Sir Thomas Carus. Hon. 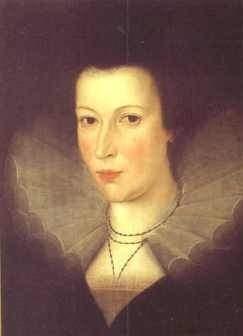 Frances Cavendish was born circa 1593. 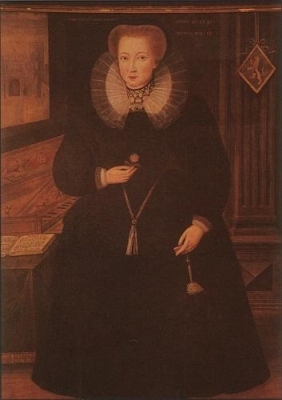 She was the daughter of William Cavendish, 1st Earl of Devonshire and Anne Keighley.1 She married William Maynard, 1st Baron Maynard, son of Sir Henry Maynard.1 She died on 1 September 1613. 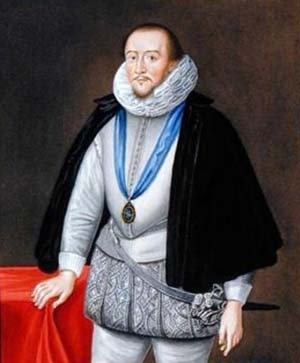 William Maynard, 1st Baron Maynard was the son of Sir Henry Maynard. He married, firstly, Hon. Frances Cavendish, daughter of William Cavendish, 1st Earl of Devonshire and Anne Keighley.1 He married, secondly, Anne Everard, daughter of Sir Anthony Everard.2 He died on 17 December 1640. He gained the title of 1st Baron Maynard. [S15] George Edward Cokayne, editor, The Complete Baronetage, 5 volumes (no date (c. 1900); reprint, Gloucester, U.K.: Alan Sutton Publishing, 1983), volume III, page 118. Hereinafter cited as The Complete Baronetage. [S15] George Edward Cokayne, The Complete Baronetage, volume III, page 117.